President Recep Tayyip Erdoğan on Sunday said that the U.S. dollar's reign on global trade should come to an end by adopting trade with local currencies between countries. "The attacks on our country is a clear example of this. They try to cast doubt on Turkey's strong and solid economy via currency manipulations," Erdoğan said. 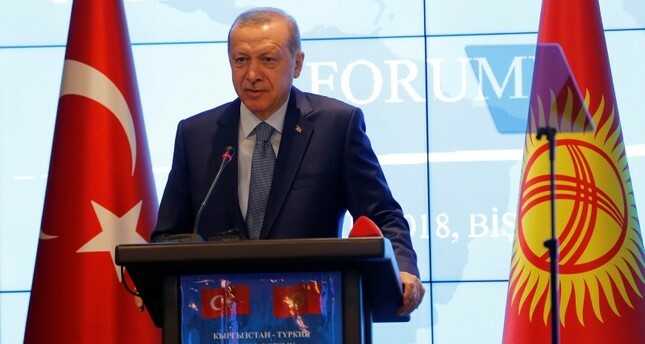 Talking about international credit rating businesses such as Moody's and Fitch, Erdoğan said every move by those firms were "politicized" and called them "insidious" and "dishonest." Reminding Turkey's willingness to trade with its top trade partners like China and Russia in local currencies instead of the U.S. dollar, Erdoğan said that Turkey was in the process of finalizing the move and added: "These last events have showed how right we are."